Blog - Which shoes pair for which sport? Which shoes pair for which sport? The Flaneurz concept aims to facilitate your journey and to introduce you to the mobility on wheels. It can be complex to choose the ideal pair of shoes: now, we propose you the Ready-to-Roll Custom offer, the opportunity to personalize the pair that will hold your attention. 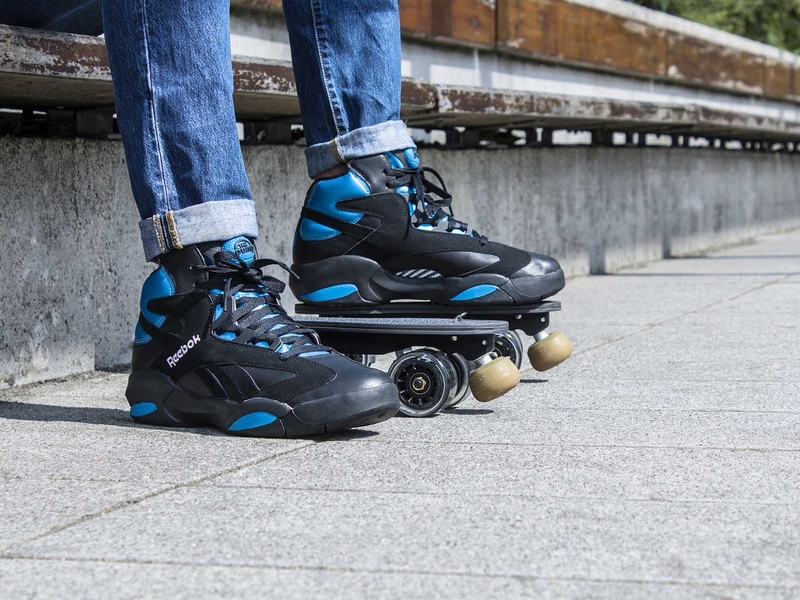 Let's find out together the most suitable shoes for each skating type. Warning: some non-scrupulous websites sell counterfeit pair of shoes. Our technical team may not accept the transformation in this case. 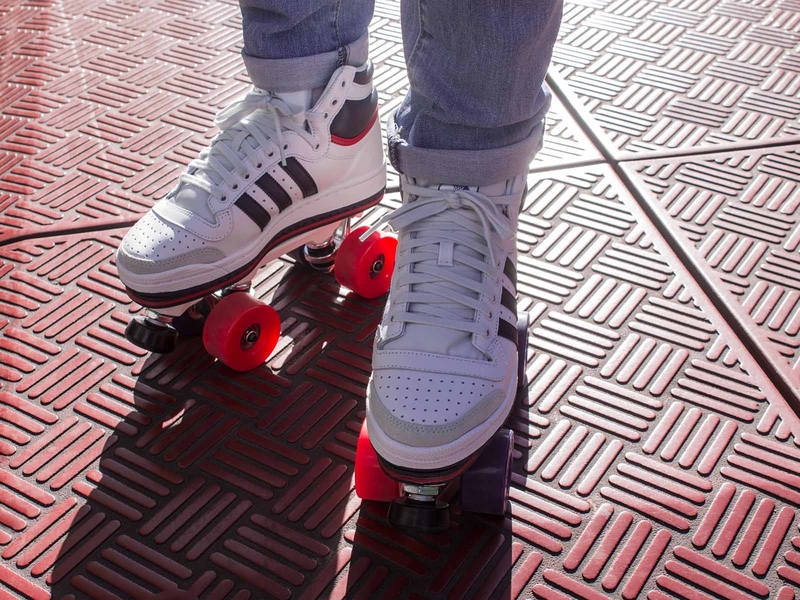 Historically, roller skating has been practiced with a pair of high heels shoes, as it provides better ankle support, which reduce the risk of injuries and offers an optimal comfort. 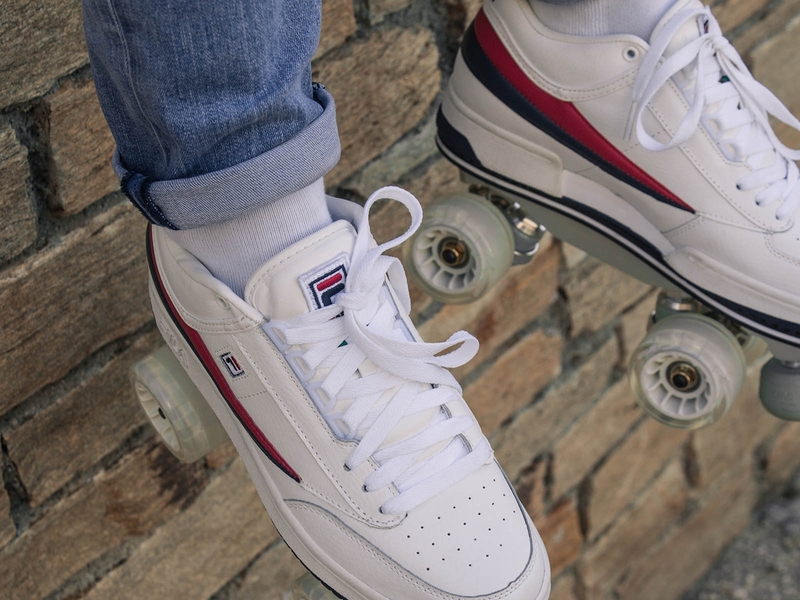 However, the fashion trend of the 1980s made low shoes more fashionable (read Roller Skate in fashion).The Flaneurz Clique recommends you to buy high shoes, especially if your ankle is weak. Indeed, your pair of shoes become a sporting element. We advise you to try them before sending them to our Skatelab. 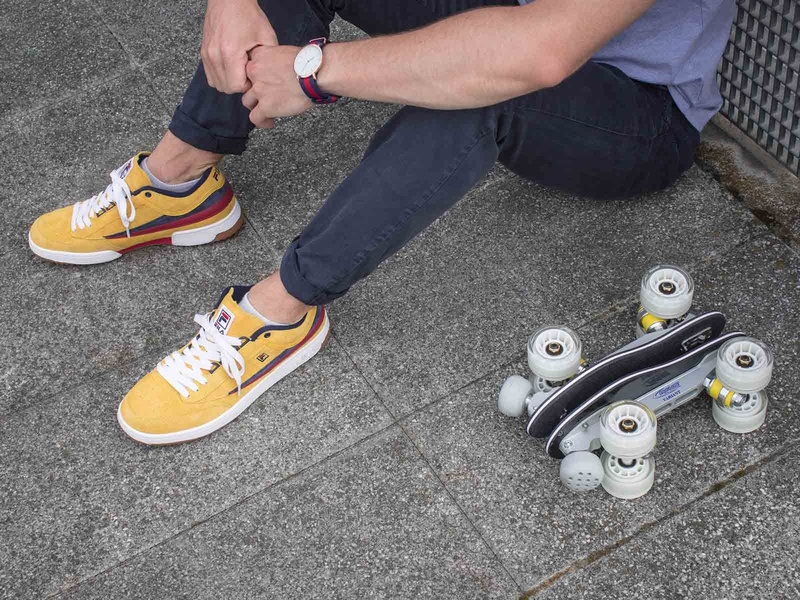 Whether you have a soft or aggressive skating style, it is essential to find the right shoes for your feet. All pairs of shoes can be used. For example, the SK8-Hi Vans (even if it is made of soft material) is highly popular during summer due to its lightweight. You can also choose a casual shoes such as a Doc Martens or a Fila Cage. This sport combines musical art and dance. The French people have the distinction of using sneakers for this discipline, unlike foreigners who are using boots in general. Laurence Sabas, our premium ambassador, uses a Nike Jordan pair, that she had transformed with the Change Your Shoes offer. Sports sneakers such as Air Jordan, Nike Air Force One are ideal for this sport. Roller derby is a sport of engagement and contact. It imposes intense braking and high acceleration phases. Shoes are subject to high pressure. Therefore, we do not recommend to use Flaneurz shoes in this kind of intensive sport, except for an initiation. We suggest you, to ad some gaffer tape to protect the front of your shoe. You can also, such as Poupa, our Iconic Ambassador, get a pair of Top Ten to go to your derby training sessions. This is probably the most gentle practice for your equipment. Any pair of shoes can be used. For long-distance rides, you will be aware to choose the right wheels. Flaneurz shoes are not recommended for practicing Rink hockey. The risk of injury and/or damage to the equipment is high, as our products are not designed for competition. Jumping and slalom disciplines require a lot of ankle effort. To ensure optimal support, you can use the Converse Pro Leather, for example. Be aware if you practice this sport, the fastening system may be severely damaged. 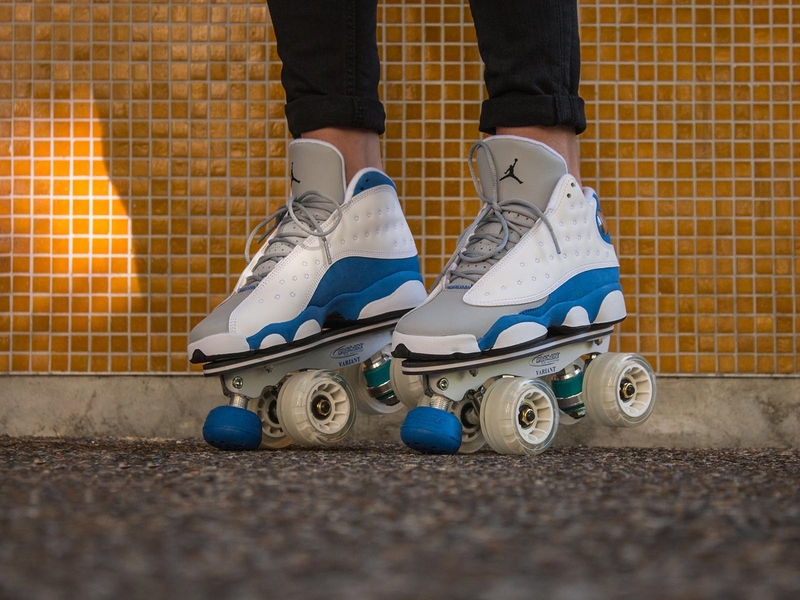 To slide or jump into a bowl, many pair of shoes can match with the skater's expectations. The most trained people of the community can use a Reebok Freestyle or Stan Smith shoes. Like the Chicks in Bowls, who practice freestyle in Vans, you can use this kind of shoes. However, be sure to choose those in leather with a scratch on the ankle. We recommend you once again to protect your pair of shoes with gaffer tape. We do not recommend Flaneurz shoes for this sport due to the high pressure during jumps and other figures. Najete Kada, 10 times French figure skating champion and Flaneurz ambassador, is practicing this sport with technical shoes but she is going to her training session with he Veja V-10 Nautico pair. We recommend you to diversify your pair of shoes to match to your sport. 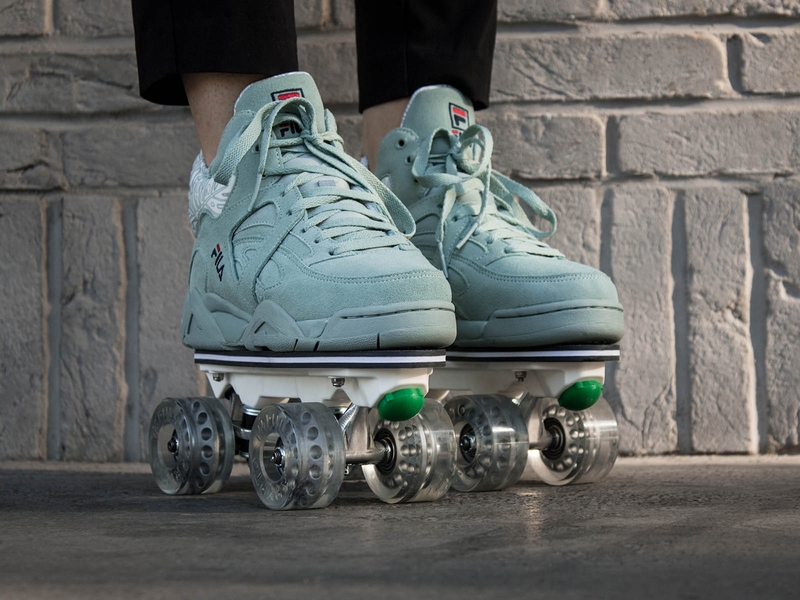 Feel free to check our range product to imagine your future roller-skates. Let your desires be free and contact us to specify your choices.The community is inspired by your ideas and we are excited to discover your adventures on our social networks (Facebook, Instagram and LinkedIn). You are the flâneur, you are the tomorrow movement.